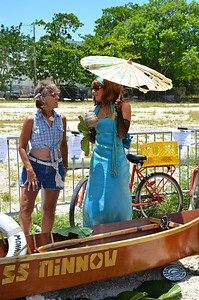 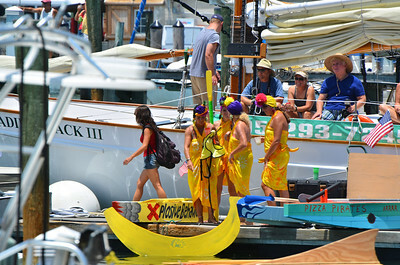 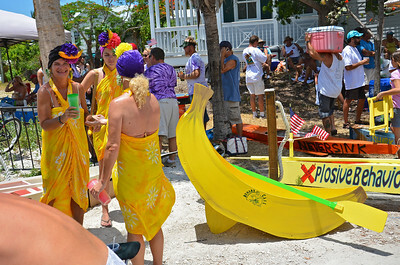 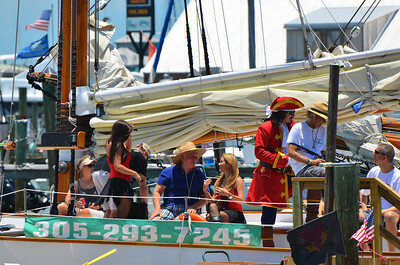 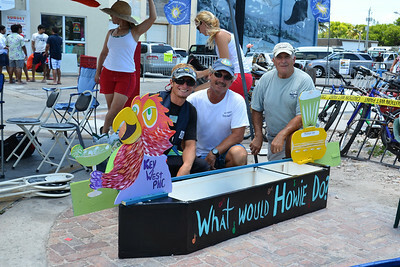 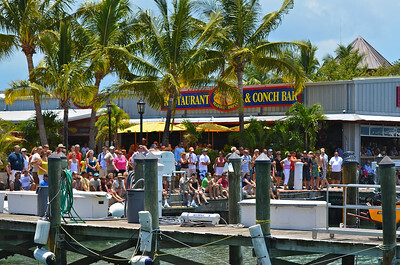 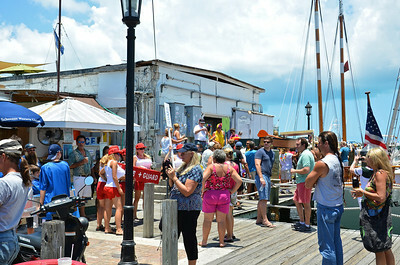 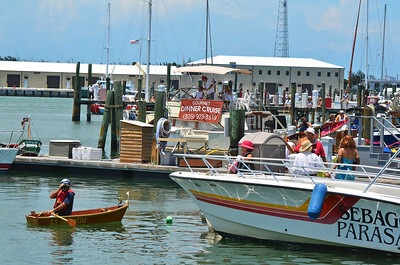 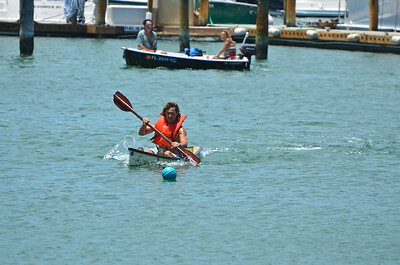 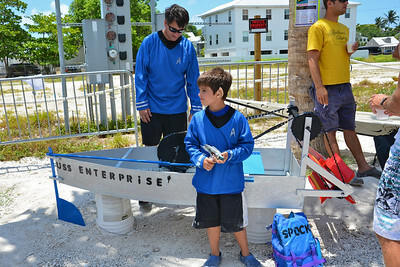 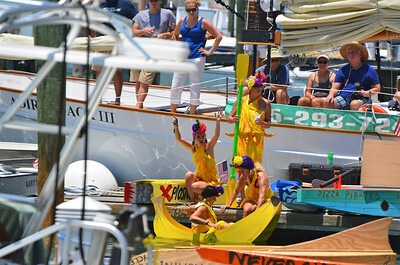 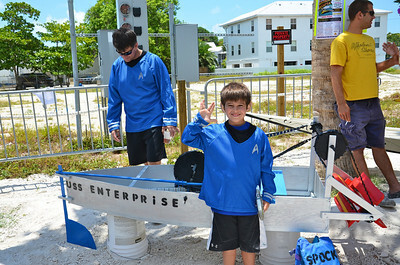 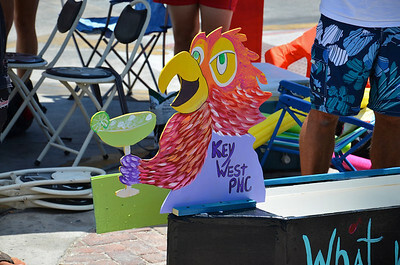 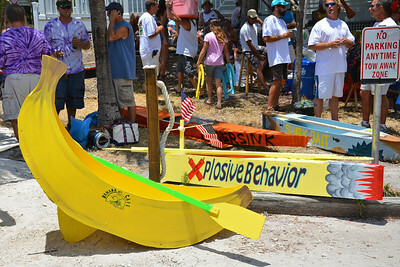 The annual Key West Minimal Regatta is held every Memorial Day weekend in the Key West Bight (harbor) in front of the Schooner Wharf Bar. 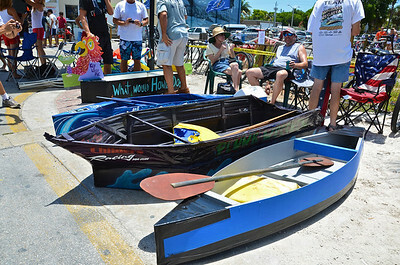 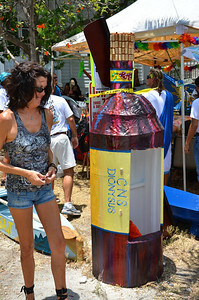 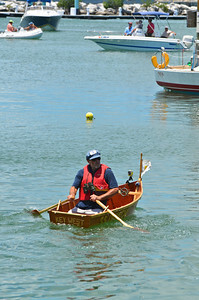 Each boat must be seaworthy to stay afloat the entire race course, however construction materials are limited to one sheet of plywood, two 2 x 4’s, one roll of duct tape and some paint. 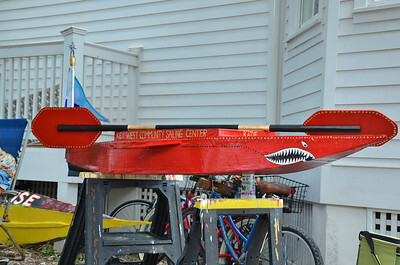 Now although each team is very creative in their design, it always seems that the “seaworthy” part sometimes gets left out. 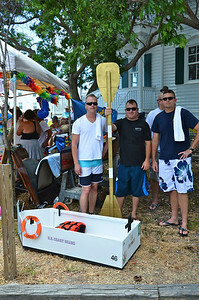 And one of the awards at the race goes to the boat that is the first to sink. 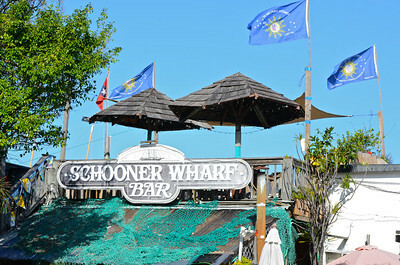 Schooner Wharf Far. 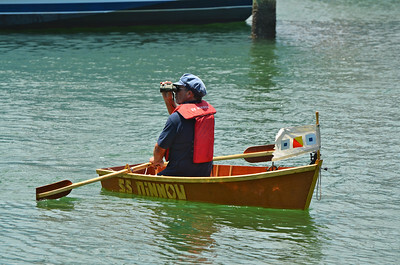 The major promoter of the Minimal Regatta event.